Remarkable features: Suvorov is represented as the god of war – Mars. Indeed, Alexander Suvorov was a real Mars in the Russian history. He took part in 66 battles and turned out to be a winner in all of them. Legend: During the siege of Leningrad, people wanted to hide the monument in the basement of a house nearby. 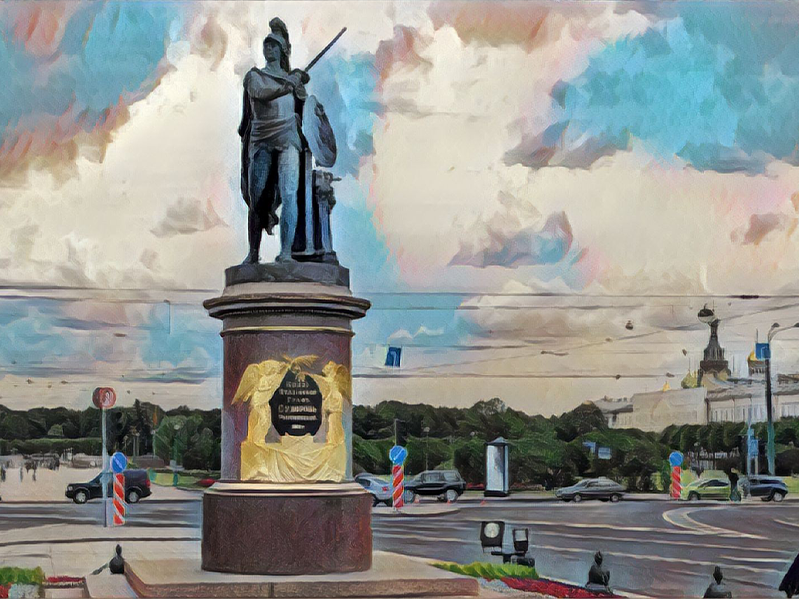 However, at night Suvorov himself appeared in a dream to the man responsible for the transferring of the monument: the generalissimo shook his finger and that he had never been a coward and would not be after death. The works for the transferring of the monument were stopped. A few days later, a German bomb, flying past the monument, landed in the same basement where people were going to hide the statue. 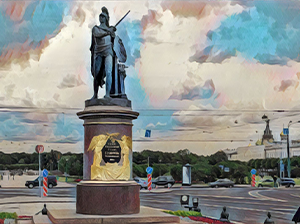 Thus the monument to Alexander Suvorov, along with the monument to Mikhail Kutuzov and Barclay de Tolly at the Kazan Cathedral, remained the whole War in the same places. People said that until the generals are in their places, the enemy would never take this city.